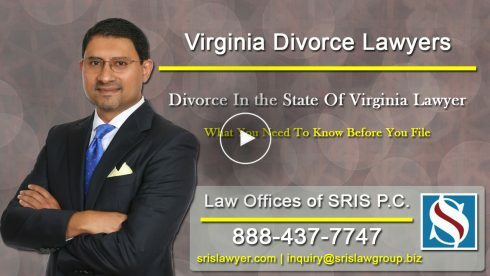 Are you planning to obtain a divorce in Virginia? If you intend to file a divorce in state of Virginia, there are some requirements that should be fulfilled. The first requirement is the residency requirement. To file a divorce in Virginia, one of the spouses must be a resident of Virginia in the last six months preceding the divorce. A contested divorce is also termed as a fault divorce where one spouse makes certain allegations on the other based on five grounds available in Virginia law such as cruelty, abandonment, willful desertion, adultery, and/or incarceration. In some cases, both the parties decide on parting ways but other issues such as child custody and property division are not settled due to the difference of opinion between the parties. Another form of divorce in Virginia is an uncontested divorce. In this kind of divorce, parties do not make any allegations against the other and they enter into a mutual agreement about property division and child custody. In uncontested divorce cases, the parties have to prove a separation period. If the parties have no children, the separation period is 6 months that must be accompanied by a signed and notarized property settlement agreement. However, if the parties have children, the separation period is one year. Divorce proceedings in courts begin with the filing of the Complaint in the circuit court that has proper jurisdiction for your divorce case. Before filing a divorce in Virginia, you should have an idea about the documents that are filed in a divorce case. Documents in a divorce case include a complaint for divorce, a waiver of service, property agreement if any, any photos, emails or letters exchanged between the parties, hearing request form, and other such documents. At the beginning of the complaint, the parties have to mention if the divorce is a fault divorce or no-fault divorce. If the divorce is due to the disagreement between the parties, it is a fault divorce. In fault divorces, after a complaint is filed, the other party files an answer to the complaint. If the opposing party decides to not oppose the divorce, a waiver of services is filed. In uncontested divorce cases, once a waiver of service is received, a hearing is set and divorce will be entered. In contested divorce cases, if the other spouse fails to provide a response to the complaint within 21 days, the party filing for divorce can request for entering of divorce by default. However, such divorce by default cannot be entered against a spouse who is in the military. If the other spouse is in prison, such a spouse will be offered legal representation and can avail the benefit of these services. Virginia law allows the parties to represent their case by themselves but if you try to handle the divorce hearing without skilled legal counsel, you may not receive a fair division of property. Being honest and straightforward in your divorce case will help you win your case. Judges tend to see through fabricated facts. In cases involving adultery and cruelty stating the true facts to the court is more important as these grounds depend on circumstantial evidence. All allegations on financial matters should be supported by appropriate documentation. Mr. Sris has helped numerous clients get a divorce in the state of Virginia.